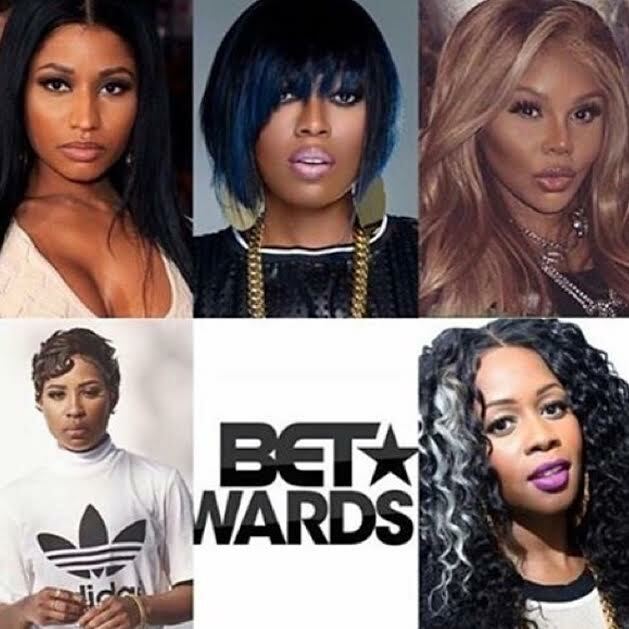 Check Out This Year's BET Awards Nominations List ... Will Nicki Minaj Win 'Best Female Hip Hop Artist' For The 7th Consecutive Year? - Ooooooo La La! Check Out This Year's BET Awards Nominations List ... Will Nicki Minaj Win 'Best Female Hip Hop Artist' For The 7th Consecutive Year? It's almost that time of the year! ... the BET Awards are around the corner and I just KNOW they will pay tribute to the late Prince in thee best way possible. C'monnnn with it, BET! So, this year, Drake leads the pack with nine nominations. Following him are Beyonce and Rihanna with five noms each. And, Adele, who had a breakout year returning back to music with her hit single "Hello," has earned her first-ever BET nomination in the 'Best Female R&B/Pop Artist' category. The rapstress has dominated that category for the past SIX YEARS! However, I do think Remy Ma is Nicki's competition this year. Call me crazy, but with Remy's musical comeback and her Fat Joe-assisted track "All The Way Up" currently dominating the radio at the moment, I believe Remy has a good chance at getting that W. And, Dej Loaf also had a very good year. Plus, Nicki has been relatively quiet on the music scene lately, aside from her verse on the "Down In The DM" remix. I also want to point out ... I think BET should just cancel out the whole 'Best Group' category because the only real group nominated this year is Rae Sremmurd and everyone else just collaborated. Until we get some real guy and girl groups back into the mix, like some TLC, B2K or Destiny's Child-type singing groups, then I think that category is pretty much useless. This year's awards ceremony will air at 8 p.m. ET on Sunday, June 26th on BET. * Rihanna feat. Drake – "Work"